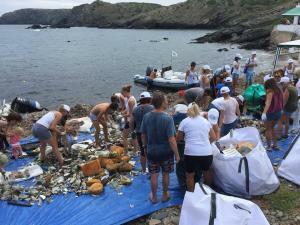 BEACHCLEAN MENORCA HAS BEEN LAUNCHED COLLECTING 1,794KG OF RUBBISH IN JUST TWO AND A HALF HOURS. 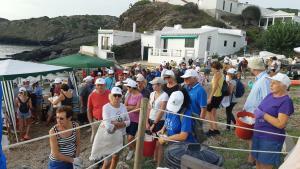 BEACHCLEAN MENORCA is an initiative under the auspice of the Menorca Preservation Fund and has been promoted by Sarah Folley and Peter Martin are the Beachclean Ambassadors. The initiative has the objective, as its name indicates, to help rid our beaches in Menorca of rubbish that collects and is not cleared. 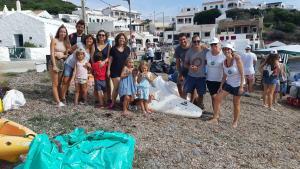 Over the past few months, individuals have been adding their names to the Beachclean list of volunteers and finally past 15th September BEACHCLEAN MENORCA was launched. The first gathering took place in Es Murtar near Mahón and had the collaboration of PER LA MAR VIVA. 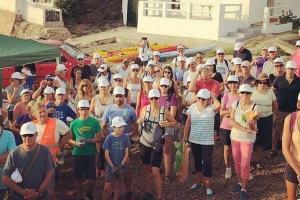 Over two hundred people, including all ages and nationalities came out to support the task of cleaning up the beaches in that area. Altogether, local people of ES MURTAR, residents and holidaymakers joined towards a common goal, to clean the area. The launching event was held the World Cleanup Day, where 150 countries gather in their communities for the day to help clean their local environment. It is estimated that 350 million people participated worldwide, a staggering 5% of the world’s population, making it the biggest civic action in human history. 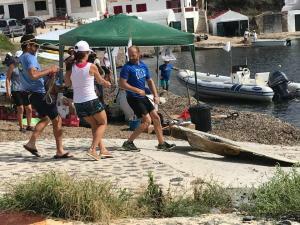 And this was the first time that Menorca had joined the initiative, making it the biggest clean-up operation ever on the island.The day was very well organised, and according to volunteers a great feeling of camaraderie was created amongst them. In two and a half hours the rubbish was brought to Es Murtar by two ribs who had to make multiple trips because of the scale of rubbish collected. The results were staggering and shocking. 1.794KG OF RUBBISH COLLECTED IN TWO AND A HALF HOURS. The total amount of rubbish collected was 1.794kg. 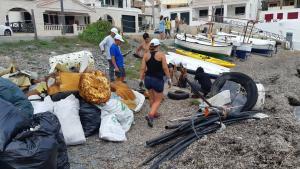 Despite the main activity was carried out in Es Murtar, SA Mesquida and Fortress La Mola surrounding areas other satellite teams simultaneously carried out cleaning up activities in Binibeca and Cavalleria collecting approximately 25kg in each clean up. 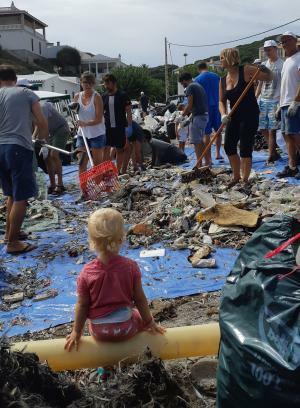 There were numerous tyres, old fridges, lots of plastic tubes of all sizes, a tortoise shell, old water tanks, lots of bits of boats, broken surf boards, as well as the usual bits of plastic, straws and crates,bottle tops, cigarette ends, plastic containers…. but the staggering statistic was that over 3,000 plastic bottles were collected in the area alone. The rubbish was sorted into different types of waste before being taken to the appropriate dumps for processing. The project had also the support of Mahón Town Hall, Consell Insular and the Consorcio de Residuos. THE FUTURE. WATCH OUT FOR MORE CLEAN-UP DAYS. 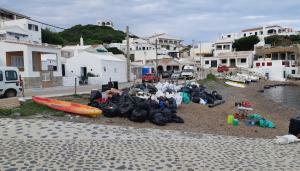 BEACHCLEAN MENORCA strategy is to allocate people to their own local beaches, so we can cover more of the island on an ongoing basis with regular cleans. For now, we would love more volunteers to come forward. 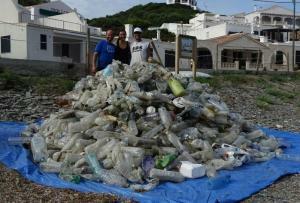 Next beachclean Menorca activity will be held the 19th January. 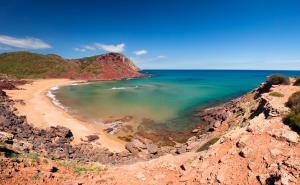 Keeping Menorca clean, safe and beautiful!